Southern Oregon's Premier Ski Club. Thank you to everyone who participated in the Sloan Race! MARA began in the late 1960’s when the mountain manager, Dave Keiser, and a handful of other families were traveling to Mt. Bachelor every weekend with their athletes to train. They grew tired of not sleeping in their own beds and knew our mountain was the perfect venue to produce high caliber skiers. They left a legacy that has had a vibrant presence on Mt. Ashland ever since, believe it or not, even through the snow drought, producing top notch technical skiers year after year after year. This is our MISSION: Mt. 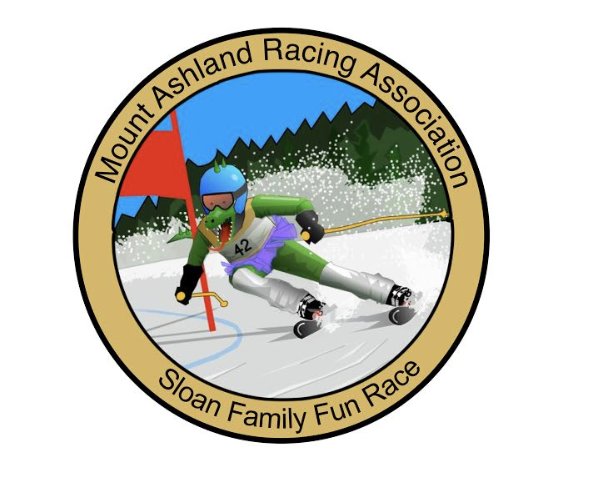 Ashland Racing Association (MARA) is a non-profit organization dedicated to advancing the fundamental skills of skiers of all ages, and developing well rounded individuals with a life long love for the sport of skiing and competition. In a nutshell we aim to produce technically proficient, life long skiers who will pass the love of the sport down through their families. Although we are a competition based organization, there are a lot of misconceptions about how we achieve our mission. The foundation of a great race club is solid all mountain fundamentals. MARA athletes learn, stunningly quickly, to ski the entire mountain, every named run, every chair line, every chute in the bowl and then some. The bulk of “training” at most ages is facilitated free skiing. That means they ski all over the mountain, in small groups, but working on specific skills directed by their coaches. Training in gates does serve a purpose though. It forces direction changes, sometimes pretty darned quickly. A good analogy is pulling out the driver on the range versus using it to carry a hazard on a tight hole. One requires MUCH more skill than the other to succeed. Gates and their brethren, stubbies and brushies, serve an important function in training stylistically solid skiers. Nearly every top level skier, whether they race alpine, big mountain, or freeride, have a race club pedigree. Keep up to date on our programs and events.